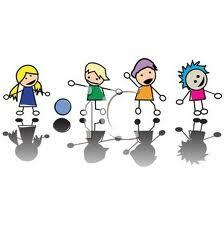 The preschool experience for me created a lifelong joy of learning. Growing up in a suburb of Los Angeles in the ‘70’s, preschool was looked upon not as a necessity or a “head start’ but more of a luxury, as feminism had yet taken a stronghold in the American fabric and the stay-at-home mom was not the exception to the rule. This magical place, which just happened to be located at the church my mother sometimes attended, afforded me the opportunity to dabble in paint, explore blocks, and interact with peers. I would arrive to the smiles of my teachers at the door, happy to have me there to play. No work books, no circle time, no assessments-just learning about the world and how it worked outside my home. I was the oldest child with a sibling on the way so social interaction I’m sure was high on my mother’s priority list. Outside play equipment, which would be banned in today’s preschool environment, allowed me to climb, fall, get back up and with encouragement, try again. Fifty years later I can still recall the box lid lined with white butcher paper that Mrs. Taylor handed me containing splatters of red, yellow, and blue paint which I was to take over to a table where marbles of all shapes, sizes and colors awaited to see what I would do with them. What would happen if I used a big marble or a small one? Did it matter if the marble was clear, “marbled”, or a solid color when I dropped one into the paint and swirled the box lid? Trial and error, physics, sensory, language development. Freedom to be a little girl exploring in a new environment with teachers to guide and be there if I fell down, both literally and figuratively. Early childhood “education” at its finest. I am quite sure that teacher training in the area of early childhood in those days consisted of ideas passed down from one teacher to another, not much thought as to what areas of development were being targeted. Fine motor skills and phonemic awareness, school readiness, among other academic phrases were not part of these teachers’ vocabulary. They were there to love kids and provide a safe environment for them to try different activities and learn how to get along with others. Period. Simple. That experience for me, half a century ago had an impact on my life in ways I cannot totally comprehend but know that it benefited me over the course of my academic and professional life. The impressions that I took from those years – adults who were happy to see me, who respected the child and allowed for exploration both inside and outside the classroom and were sad to see our session end, taught me that school, like home, was a safe place to be. It set a course of lifelong learning for me both as a student and eventually a teacher. I have a love/hate with writing. When I think of all my thinking about education…what I’ve learned through academia and experience, I get to feeling overwhelmed. I subscribe to several blogs which then create a feeling in me that I need to respond with more than a “like.” I have worked in both private and state funded preschools in the state of California and how the hoops that providers are expected to jump through for the sake of funding leave the morale of the staff and the quality of care low. I have yet to be given a straight answer as to how I was to take endless anedotal notes on my 12 students while supervising and interacting with them. Teacher pay is low with little or no benefits while those who direct and administrate programs receive higher wages and benefits. Permits need to be kept current (100 bucks and up every 5 years), along with CPR and First Aid certifications (another 100 bucks every two years) . A site supervisor at a non-profit makes a little more than enough to keep him/her off the welfare doles and if you happen to be a single mom, you will never make enough money on your own to buy a house on your salary. So like I said, one thought leads to another in my stream of consciousness…which means it is time to start blogging again. When I was younger I didn’t think I had the knowledge or experience to be part of this educational discussion, but I do now. I have 30 years of hits and misses, things I’ve seen work and practices that should never take place in or out of a classroom. I have had parents praise me and some that have wanted my head on a platter.Co-workers and supervisors who where saints and sinners. I’ve experienced in Academia professors who taught classes not because they had a passion for the subject, but needed a second job and didn’t really care about their students. I have also had awesome instructors that I would follow to the ends of Mother Earth to absorb anything and everything they put out into the Universe. Political climates sometime laud us as “professionals” who need support and I have seen that climate turn cold and ugly, shutting out families who were in dire need of care. I have been in the trenches opening new facilities in both the high end and low end of town. I would say I have seen it all-but know better than to utter that phrase into the atmosphere. Let’s just say I have seen and experienced enough to want to share with you, cry with you, help you along your own journey in this field we call Early Childhood Education. Yes have something to say, and I hope you will come along on the ride with me as I take up my laptop and begin the journey once again. You are welcome to send me questions of topics and I would be happy to answer or pose the question to our community. Just about any question you have regarding these topics -they have the answer. It is time well-spent. Marc Armitage is an independent consultant, researcher and writer in children’s play and the wider social world of children and young people (0-19 years). He delivers a variety of projects including consultancy, training, independent evaluations, research and development work. Marc is a regular speaker at conference and seminar events around the world and has been published in magazine articles, periodicals, journals and books in English, Swedish and Dutch. He is also is a member of the Society for the Study of Childhood in the Past, the History of Education Society and the Folklore Society. One of his newest passions is Malarkey. Malarkey is a company supporting people in the children and young people’s workforce with training, publications, advocacy and support. Based in Melbourne, Victoria it operates throughout the whole of Australia and New Zealand. The company was registered in December 2013 and began operating fully on March 8th 2014. Marc has been involved in this project and promotes it shamelessly wherever he goes…. If the name Magda Gerber is familiar for those of you who work with infants and toddlers, then Dr. Emmi Pikler should sound just as familiar. Dr. Pikler opened Loczy in Hungary and developed an unique approach to educaring: http://pikler.org/PiklerPractices.html. 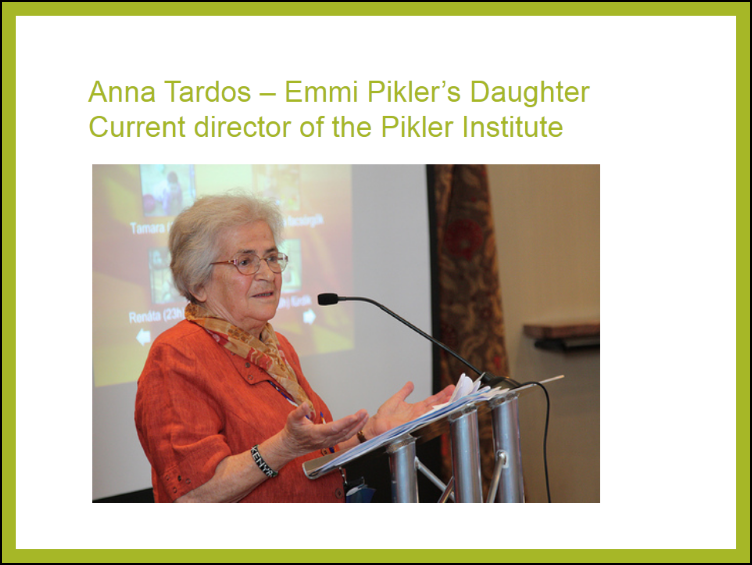 Though Dr. Pikler has passed away, her daughter Anna Tardos has continued and expanded her work beyond Bucharest. I have not had the pleasure to speak with her in person, but have been in webinars and corresponded with her via email. She is a delight and has so much respect for babies. I learned so much from her and the literature that the institute puts out that I share it with all those I work with both privately and professionally. So there you have it – some new resources to add to your collection. I hope they inspire you just as they have inspired me! Dear Everyone….Play has something to say! We have not spent much time together lately. 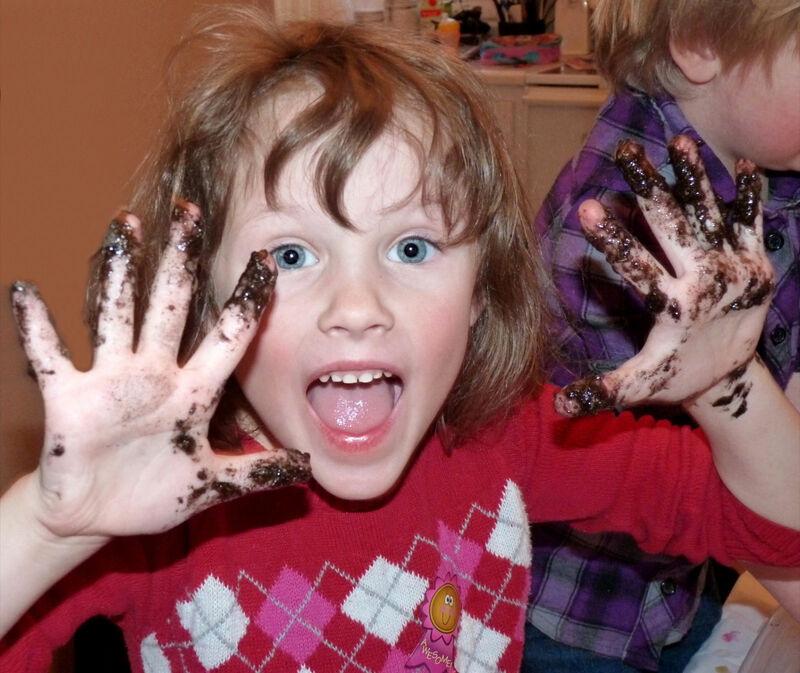 When you were a kid, we were together all the time: riding Big Wheels, sculpting stuff out of play dough, building moon bases out of blocks, and squishing mud. Heck, we were together all the time. Remember when you were told to “quit playing with your vegetables and eat them”? Or how we had so much fun on car trips—until the order to “stop the silliness back there!” boomed from the front seat? Back then, all you wanted to do was hang out with me. Those were good times. Remember how that big slide burnt your legs, but you could just not stop going down over and over again? Anyway, I’m not writing to relive old times (although it would be great to get together some time). I’m writing about your kids. I don’t see them that much and I’m worried. They’re MIA. From what I hear, their days are full of adult-led activities, screen time, and academics. They don’t even play in the back seat like you used to—they’re plugged into a DVR watching something “educational”. I know you want the best for them—you want them to get ahead in life and be ready for whatever it tosses at them. You’re scared that if you don’t push them a bit they will not “be read”. You feel there is learning to be done and that there is not time for your old buddy, Play. You’re also under a lot of peer pressure to do what other parents are doing. If the kid down the street can’t climb trees or get messy and is shuttled between academic preschool, dance, karate, a traveling soccer team, and a foreign language class you’d look like a bad parent if your kid just ran the neighborhood half naked and covered in mud having adventures the way you did back in the day. I get the Fear and the Pressure, but it’s getting a bit intense. You’re expecting things out of your kids that are not developmentally appropriate—things most of them are not cognitively or physiologically ready for. You’re expecting them to do things at the age of 3 that you did not learn to do until the age of 5 or 6. The thing is, I’m the answer. If you want your kids to be ready for whatever life throws in their path, if you want them to be able to thrive in an ever-changing world, if you want them to be creative, and knowledgeable, and well-adjusted– I’m the answer. Me, you’re old buddy, Play. I don’t want to brag, but the fact is I’m an evolutionary strategy that lots of creatures use to learn about, and survive in, their worlds. Puppies, chimps, whales, elephants, tigers—the list is huge. They all use me, Play, as a strategy for gathering information about their surroundings, sorting things out, gaining understanding, and so much more. Don’t take my word for it; there is plenty of research showing that I’m a better choice for young kids than learning videos, flashcards, worksheets, and adult-led academic settings. Here’s a link to a list of resource my buddies Jeff and Denita complied for their book, Let Them Play. Check it out when you have time (and please make the time). Right now, I’m just asking you to relax a bit. Let them play. Let them enjoy their childhoods. Stop rushing them. Stop pushing them. And you…you could use some more of me too. How about right now? Go on, grab that big fluffy towel from the bathroom, tie it around your neck, and see if you can still fly off the third step the way you used to. It’ll be fun. Hope to see you (and your kids) soon! Recently I have been spending a lot of time with babies – mostly at work. The curriculum is simple – set up environments where they can touch everything. The goal is to say ‘no’ as few times as possible. This is quite easy when one is intentional about setting up the environment and have parents who understand how important it is for children to engage all their senses during play. Today I watched a little girl just over a year old do some remarkable things. She dropped slips of oval construction paper through a slit on the top of an empty formula can. With each drop into the can she would look at me then break out into giggles of happiness. She repeated this until all the pieces ended up in the can, then she handed me the can and signed “more.” So I promptly removed the lid off the can and dumped the papers onto the table, then returned the lid to the top of the can, and she began to repeat the activity. I watched her every move; I could see the wheels in her mind turning, watching her make the connections. I thought about how I could modify the activity so that she could discover something different, but she did that on her own. She shook the can. She took the lid off and dumped the contents onto the floor, then sat down next to the little pile and put the papers back in the can. I handed her some wooden geometrical shapes, some I knew would fit through the slit in the lid, others would not.I watched her as she marveled with each attempt at trying to put the new objects through the slit. With each success, she would giggle her contagious giggle and the play would continue until it ended on its own. It is unique to each of us – what draws our attention and how we explore what interests us – no matter what our age. The wonder of it all, I thought. This is what our lives should be about. It is a child’s ‘job’ or ‘occupation’ to play to develop physical coordination, emotional maturity, social skills to interact with other children, and self-confidence to try new experiences and explore new environments. The more time and freedom to engage in activities that children find engaging, the better children do their “job.” I find that many of my well-meaning co-workers and colleagues in the field are so pre-occupied with curriculum and assessments that the time children are given to explore and discover what is ‘wonderful’ to them is limited. Play is so important to optimal child development that it has been recognized by the United Nations High Commission for Human Rights as a right of every child. By limiting play we are depriving our future generations of their right to develop in ways that are healthy and good for them. This is true school readiness….spread the word. Seriously – support this film….our world just may depend on it! Since I started my blog in September 2010 as a class project I have continued to advocate for play in the world of early childhood studies. I have engaged with other play-based advocates in many forums, some I have shared with you. Today I want to share with you this trailer to a feature film-in-progress called Seriously:The Future Depends on Play. Trailer – SERIOUSLY! The Future depends on play from Gwen Gordon on Vimeo. I see such little play going on in our schools, in the lives of children today for a number of reasons – fear and ignorance being the leading reasons why children are being deprived of this basic need. It is as basic as needing oxygen to breathe. Please join with me in spreading the word about this film and support its makers in any way you can. The future of childhood will be a brighter, more playful one. A Pause, Some Quotes, and a word about Play….. Here we take a pause – our eight weeks studying early childhood development has come to an end. I say we have only paused in our journey – to that end, I want to thank those who have taken interest in my blog and what I have had to say on the subject of child development. I want to especially thank ECeducator2011 and Gregory Uba for your contributions to my blog and on your own blogs. They have been very insightful and I have enjoyed reading them very much. So this week’s assignment (besides thanking people for visiting and contributing to our blogs) was to share quotes and/or video. The opposite of play is not work. It’s depression. As the holidays are fast approaching, and parents are trying to figure out the perfect gift for their kids, I thought this would be a great time to talk about children and technology. Should young children have laptop computers, iphones,androids and/or kindles? By young, I am talking about preschool-aged kiddos. And apparently there are are some thoughtful parents who understand that technology should not br the centerpiece of early childhood. Aren’t children from birth exposed to these concepts in natural ways? A mother holding her baby models emotions. As the brain matures it starts to understand about numeracy and classification. Piaget would be appalled at how his ideas are being twisted in order to sell an “educational” product. What children need is human interaction. 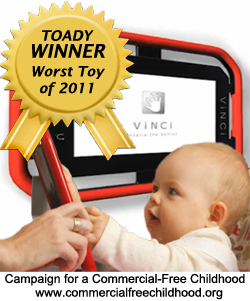 Want some ideas about what to buy your child for the holidays? -a beanbag chair, a big pillow, and a soft rug to put them on. If you really feel the need to include some sort of technology under the tree or bush- cameras and tape recorders are good options. Kids like to take pictures (and videos)of their creations and talk about their creations. It encourages literacy and language development. 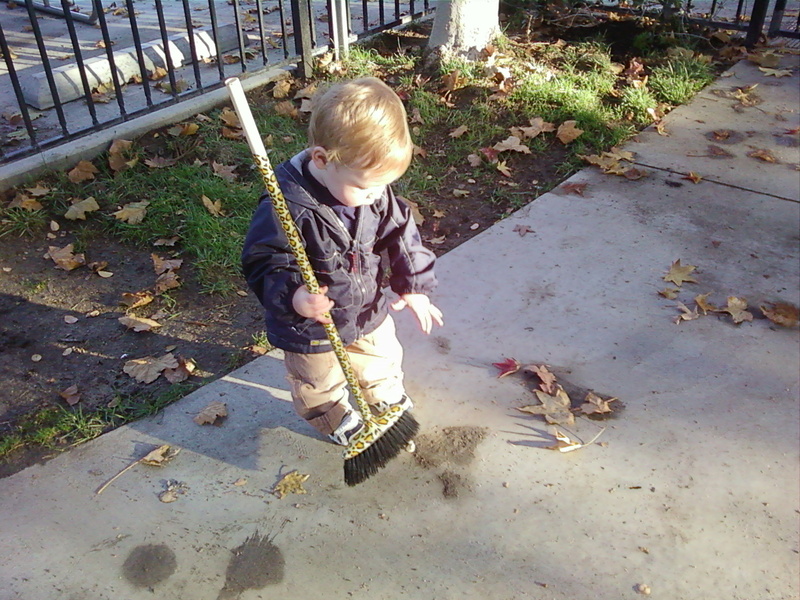 It also allows parents to clean up when the kids know that there is a record of what they did and they can show it to others. Take it from a veteran early child care professional and not a marketing guru. Like I shared with a colleague recently – computers will always be around, and what we think is important computer education today for children will be obsolete by the time they grow up. Give your kids the gift of human interaction this holiday season. Build a tower. Buy a copy of your favorite childhood book and share it with your child. Purchase a sea monkey tank and watch their movements, especially when you shine a light on them when it gets dark. These kind of gifts yield so much more than a overpriced piece of plastic that they will outgrow in a couple of years. The memories your make with your child with my suggestions will last a lifetime. Today an article by Kimberly Hefling, AP education writer made its way around the net titled: “Safety violations found at Head Start centers.” It outlined information released by the General Inspector regarding their findings during center audits earlier this Spring at centers around the country. As a former director, I have had to deal with inspections, audits and the like, and after reading the report for North Coast Opportunities, Inc. (one of the grantees from California), I have to say I was dumbfounded. I looked at the findings and recommendations the auditors noted in their report after they visited and took pictures (which were included in an appendix in the back of the report)at North Coast Opportunity’s sites. The major flubs that this organization committed had to do with uncovered electrical outlets, outdated 1st aid manuals, not locking locks that should be locked at all times, and storing mops to dry in inappropriate places. Some fences needed mending and paint was found chipped on outside play equipment. My question is – how in the WORLD could these things have been overlooked by staff and administration? Head Start directors (who are very very well paid here in California, by the way) for the most part, do not have teaching responsibilities, so how could every site that was inspected not have covers over their outlets? This is a beginning supervisor error, not a seasoned professional’s. I was so embarrassed for them, and for our profession when reading this in the report. Outdated manuals? Gates unlocked? Emergency exits blocked by furniture? Had an analyst come out from Community Care Licensing, these sites would have been sited and a meeting set up to talk about this gross negligence of their center facilities. In California, site directors have to have a Bachelor’s degree and 105 hours of professional development over 5 years to keep their permits valid. Program directors have the same requirements plus more experience. These people know better and if they don’t – they shouldn’t be running child care programs. It makes me even sadder to know that this story was picked up in the press and reinforces in the minds of the public and other funding sources that Head Start programs do not provide the quality programs that we have come to believe to be the truth. it makes me downright angry truth be told. Directors – get your acts together or walk away from the profession. Kids do not need burned out, lazy teachers, supervisors, and directors to care for them. In early childhood education, state funded programs are required to assess their students. In California, where I live, when a child enters the program, the first assessment is given within the 1st 60 days, then every six months after that first assessment. 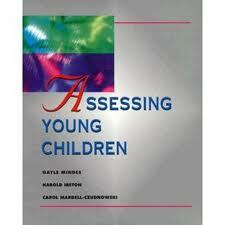 The idea is to assess the children, assess the data, and create lesson plans around the results. Some lesson plans are geared toward specific children, some are geared toward the group as a whole. The problem I find with this is that administrators do not want to pay teachers prep time and assessment time to do this task. You cannot observe to assess and be directly involved with the children. I know most teachers do this work on their own time as part of their job. And I know that a lot of observations are fabricated and thus do not give a true picture of the child. I don’t work in state funded programs anymore because I don’t believe that kids and teachers need the stress of assessments, unless there is a problem. Children, especially preschoolers grow at different rates, and how do you tailor individual activities to meet the needs of individuals if you are forced to create these environments that do not look at children as individuals? That is what I abhor about elementary school. Why are we doing this to preschoolers? Play-based facilities are busy allowing children to be children – to be attuned to what the child is doing now and how to help facilitate his curiosity about whatever interests him/her. Dealing with anecdotal gets in the way of this goal. The same in school age care. I had so much darn paperwork, recording this and that, that I could not enjoy my time with the kids, and I sure could not supervise them while doing paperwork. There has to be a better way to prove that the money that centers get is being well-spent. I suggest having analyst go in and observe for themselves, similar to a licensing visit. I think it is great to have parent conferences – to collect children’s work and to talk about the child’s development over the last six months. This is what public school teachers do – no one has them do the kind of paperwork that is expected out of preschool teachers. Talk with parents – keep the communication open. Have state auditors come down and see for themselves what is happening in the classrooms. Let the teachers do their job – be with the kids, help the kids try new things, and play with them. That is all the kids want really – just to be kids. Australia just began doing national standardized testing in 2008. Australia has an interesting dynamic as all children are divided up either aboriginal or non-aboringinal. Historically the aboriginal children are behind the others for various reasons, the number one reason is that aboriginal parents are afraid that they will lose their children to Western Culture, and consequently, their own. The government does not hold indigenous children to the same standards as the “white” children, and the statistics prove it. Lastly, in the Aboriginal culture, English may be the child’s second, third or fourth language. When most of the teachers speak and teach in English and not of aboriginal culture, it proves challenging, even to the most seasoned educator. In most schools across Queensland (and probably across other states) the proportion of Aboriginal children is about five percent or less . Many white teachers do not have a lot of experience teaching and dealing with Indigenous kids or communities. As a consequence white teachers can misinterpret certain behaviour by Aboriginal students, for example when students avoid eye contact. In Aboriginal culture direct eye contact to an adult is considered rude. When teachers in such a way misdiagnosed Aboriginal students’ classroom behaviour we can speak of ‘soft racism’. Other forms of such racism might be when teachers ignore Indigenous students, expect them to deliver low results or victimize them. For many Indigenous children English is their second, third or fourth language. White teachers should explain things in more than one way and more than once to enable Aboriginal students to understand and learn. In Aboriginal culture knowledge was passed on through repetitive story-telling. Teaching Aboriginal students needs to convey a ‘relatedness’, which is a key feature of Aboriginal world views, and connect it with the skills necessary for them to have a full and productive life . Aboriginal students need to receive an education that enhances and promotes their Aboriginality.